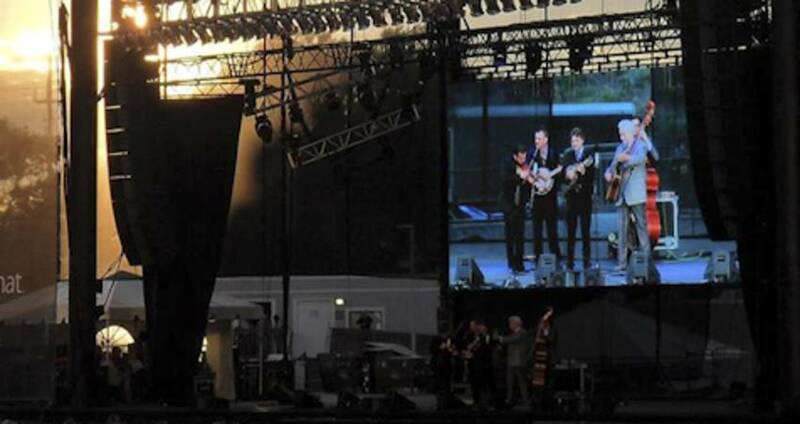 In the South, bluegrass remains a staple of its rich culture. 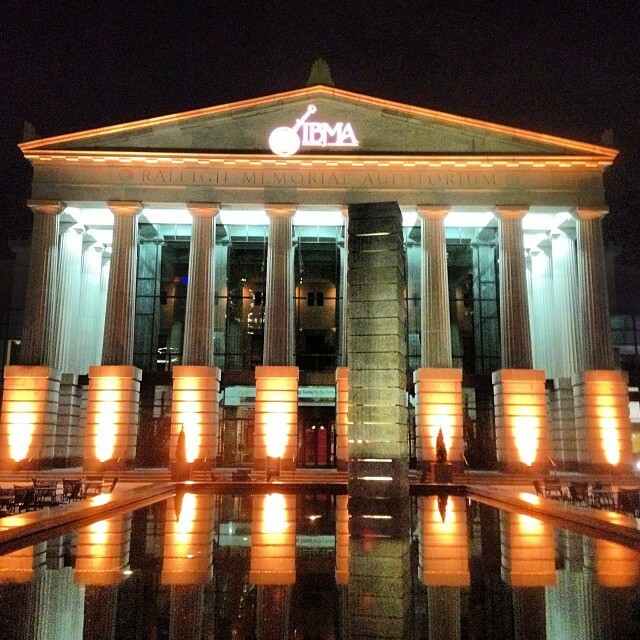 From today through Sat., Oct. 4, downtown Raleigh welcomes International Bluegrass Music Association&apos;s (IBMA&apos;s) World of Bluegrass, a week-long celebration of all things twangy. Kicking off World of Bluegrass, the Bluegrass Ramble runs today through Thurs., Oct. 2, in seven sites around Raleigh: The Architect Bar & Social House, Kings Barcade, Lincoln Theatre, The Pour House Music Hall, Raleigh Convention Center, Tir Na Nog and Vintage Church. Ticket-holders can “ramble” all over downtown, checking out a bevy of talented acts from across the nation including Jeff Scroggins and Colorado, Rebecca Frazier and Hit & Run, Newtown, The Danberrys and Garner’s own Lorraine Jordan & Carolina Road. 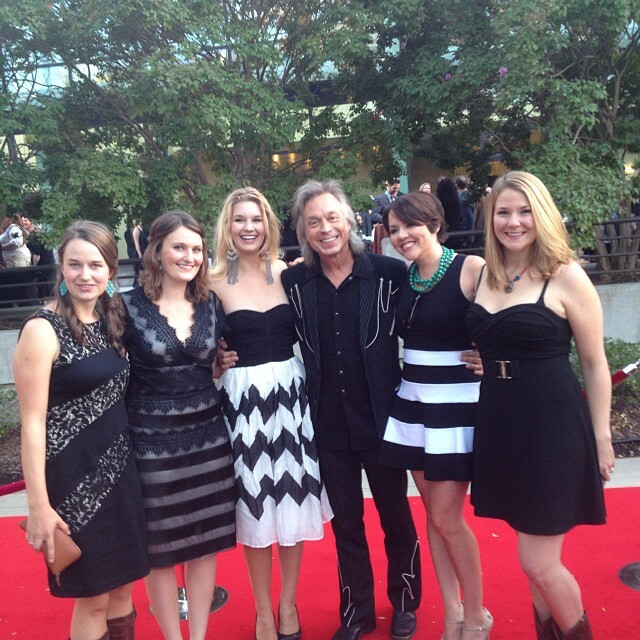 The Bluegrass Ramble shows begin at 7pm and run until well after midnight at each venue. 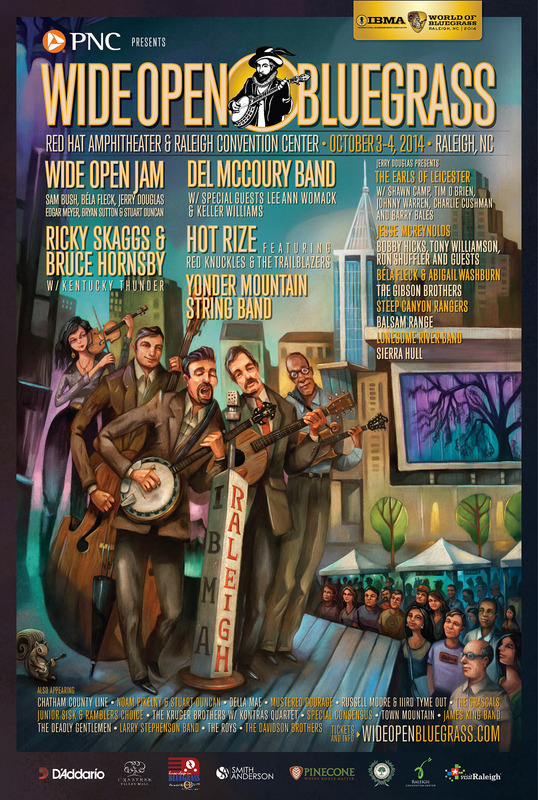 On each day of the Bluegrass Ramble, Raleigh Convention Center hosts the IBMA Business Conference. This massive trade show and insider gathering covers all aspects of the musical genre. Artists, merchandisers, publicists, record labels and a host of others talk tunes and debut the latest innovations in recording technology, instruments and strategies. This year&apos;s keynote speaker is Bela Fleck. 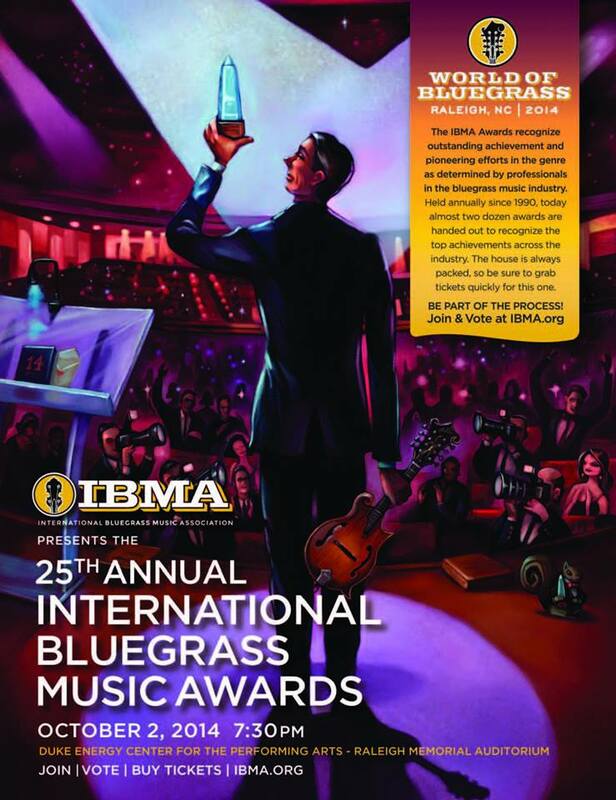 The Bluegrass Ramble builds up to the 25th Annual International Bluegrass Music Awards at Memorial Auditorium at Duke Energy Center for the Performing Arts, hosted by Lee Ann Womack and Jerry Douglas. 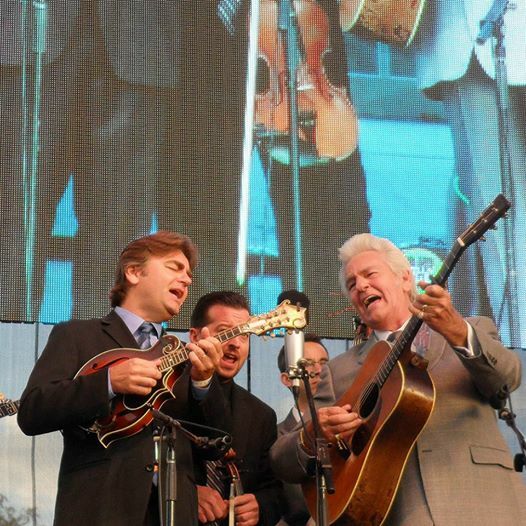 Listed performers include Frank Solivan & Dirty Kitchen, Balsam Range, Del McCoury Band and The Boxcars. For those of you concerned about getting around, a complementary shuttle runs between hotels and venues over these three days. The Ramble-based shuttle operates from 4:45pm-2:45am. 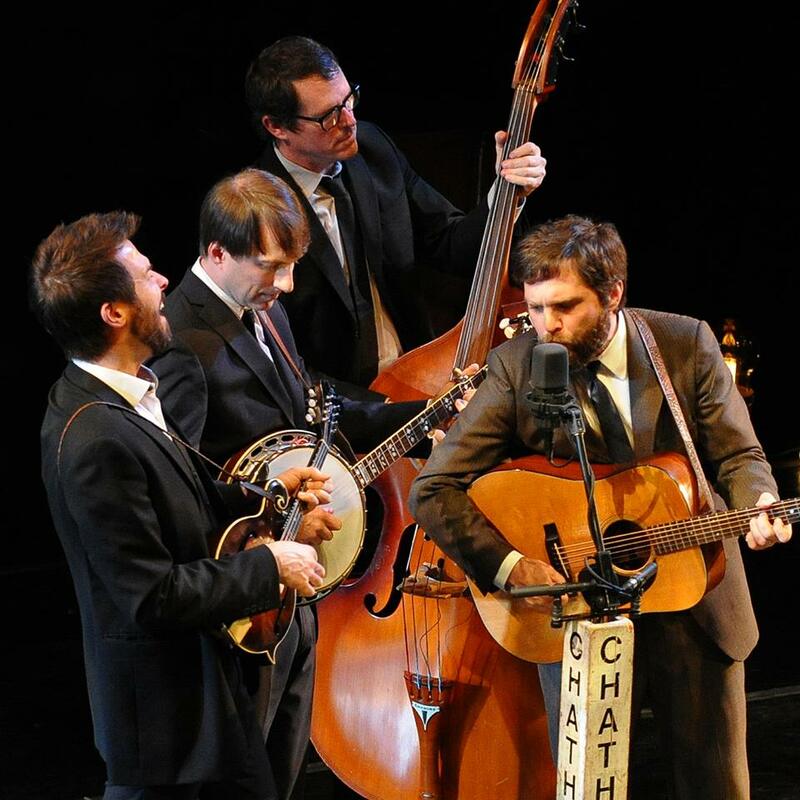 But that’s just the prelude to the weekend blowout: PNC presents Wide Open Bluegrass. On Fri., Oct. 3, and Sat., Oct. 4, the festival’s two main stages, Red Hat Amphitheater and Raleigh Convention Center, explode with talent. 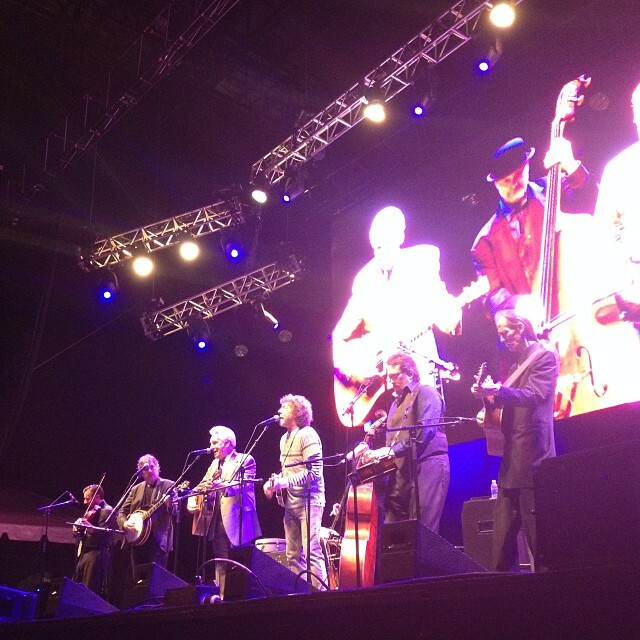 2014 headliners include Del McCoury Band, Bela Fleck & Abigail Washburn, Yonder Mountain String Band, Ricky Skaggs & Bruce Hornsby and Steep Canyon Rangers. Fri. night’s show finishes at Red Hat Amphitheater with the Wide Open Jam, featuring Sam Bush, Bela Fleck, Jerry Douglas, Bryan Sutton, Edgar Meyer and Stuart Duncan. On a budget but aching for some good live bluegrass? 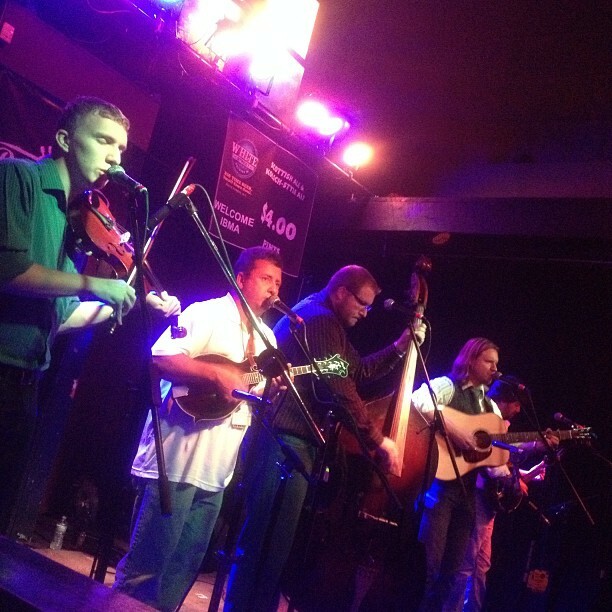 The PNC presents Wide Open Bluegrass Street Fest will help you get your fix. Four professional stages, one youth stage and one dance tent line Fayetteville St. on Fri. and Sat. from noon-midnight. And it’s free. FREE. Free performances from Gibson Brothers, Della Mae and The Duhks. Free peformances from Blue Highway, Lorraine Jordan & Carolina Road and Chatham County Line. 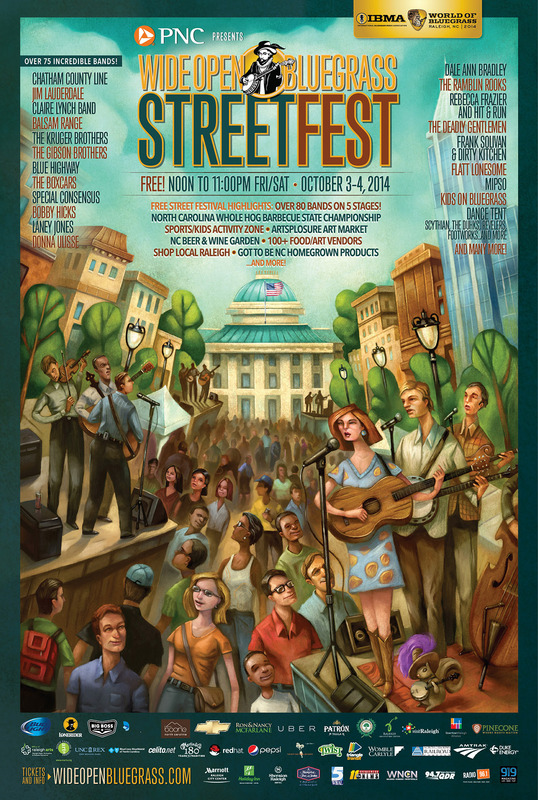 Free bluegrass from more than 85 bands, right on the streets of downtown Raleigh. Are you excited yet? Because there’s still more. The 2014 N.C. 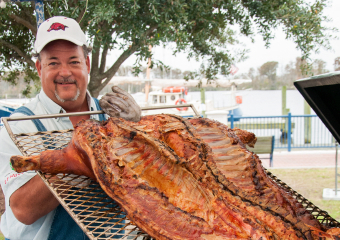 Whole Hog Barbecue State Championship runs concurrent with PNC Presents Wide Open Bluegrass. Between 15-20 local barbecue competitions give out prizes, and the cooked meat will be sold to the public at the Inter-Faith Food Shuttle tent, located on Cabarrus St. beside the Raleigh Convention Center. 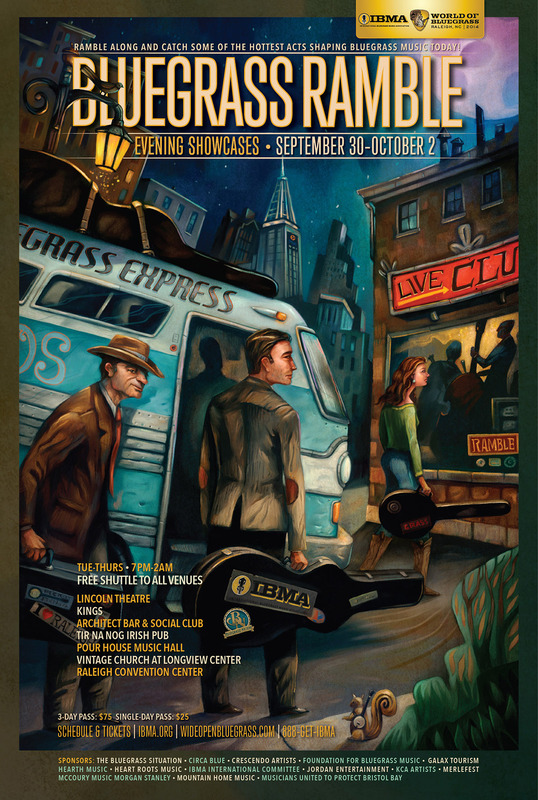 If you’re still looking for more ways to appreciate bluegrass, you can check out the inaugural IBMA Bluegrass Film Festival. Two Feature Films are set to be screened at the Business Conference, while six Festival Films will be shown during the PNC presents Wide Open Bluegrass. 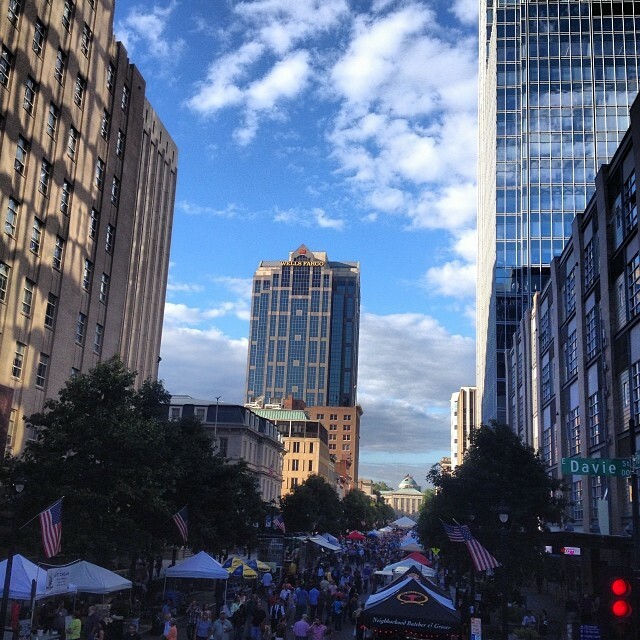 All told, more than 160 acts flood downtown Raleigh for the World of Bluegrass festivities. Join the party and embrace one of our country’s most impressive bluegrass festivals. It doesn&apos;t take a Music Maniac to appreciate this special week. On the heels of Hopscotch Music Festival 2014, our great city cements itself as a musical hub to rival all others. Visit the official website for tickets and full event schedules (you can also see the PNC presents Wide Open Bluegrass map and schedule here). For information on parking, click here. And for accommodations, events during the festival, dining and more, click here.